Join us again at the Hole in the Wall, High Street, Kilkenny, for Future Proof Kilkenny’s 6th season of films exploring the global issues of sustainability, justice, equality and the environment. Films start at 8pm. Admission is free of charge but a contribution of €5 is appreciated to cover our costs. 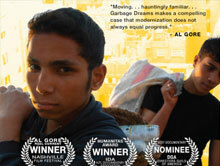 Garbage Dreams follows three teenage boys born into the trash trade and growing up in the world’s largest garbage village on the outskirts of Cairo. It is home to 60,000 Zaballeen. Arabic for “garbage people”. 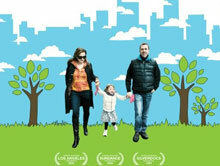 Far ahead of any modern “Green” initiatives, the Zaballeen survive by recycling 80 percent of the garbage they collect. When their community is suddenly faced with the globalisation of its trade, each of the teenage boys is forced to make choices that will impact his future and the survival of his community. Just Do It lifts the lid on climate activism and the daring troublemakers who have crossed the line to become modern day outlaws. Documented over a year, Emily James’ film follows these activists as they blockade factories, attack coal power stations and glue themselves to the trading floors of international banks despite the very threat of arrest. 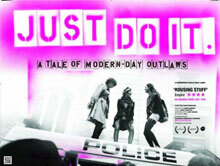 Just Do It is an independently produced film made possible by over 100 volunteers and 447 crowd funders. In Finland the world’s first permanent repository for high-level radioactive waste is being hewn out of solid rock. A huge system of underground tunnels is being constructed, tunnels which must last though natural disasters, man-made disasters, and societal changes for 100,000 years. Captivating, wondrous and extremely frightening, Into Eternity takes viewers on a journey never seen before into the underworld and into the future. Colin Beaver decides to completely eliminate his personal impact on the environment for a whole year. It means eating vegetarian, buying only local food, and turning off the refrigerator. It also means no elevators, no television, no cars, buses, or airplanes, no toxic cleaning products, no electricity, no material consumption, and no garbage. No problem – at least for Colin – but he and his family live in Manhattan. So when his espresso-guzzling, retail-worshipping wife Michelle and their two-year-old daughter are dragged into the fray, the No Impact Project has an unforeseen impact of its own.